The Betlem Club Hotel is located in peaceful Bethlehem Square (Czech Betlémské náměstí) amidst Old Town Prague. Bethlehem Square is ideally located, with the Charles Bridge and Old Town Square only a 5 minute walk away from your accommodations. Bethlehem Square is also very close to Wenceslas Square, the Jewish Quarter, the Royal Way, the National Theater and all the other landmarks of the Old Town and Prague 1. Bethlehem Square is located in Old Town Prague in the historical center of Prague 1. This memorable place is named after the famous Bethlehem Chapel, which is the dominant building in the square. The square itself was founded in the late 18th century on the site of the Church of Sts. Philip and James. 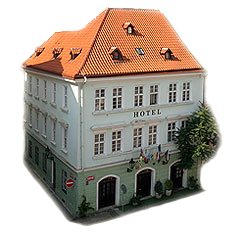 Today, Bethlehem Square is a pleasant and peaceful place, ideal for the hotel’s accommodations, where you can explore the rich history of Old Prague. Bethlehem Chapel in the Old Town of Prague, Prague 1 is a memorable place in Czech history. The foundation stone of the chapel Prague was placed by Prague Archbishop Jan of Jenštejn on the 27th July 1391. The chapel was built in the years 1391-1394 and was consecrated and named in honor of the Holy Innocents killed in Bethlehem. Legend says that in this place there was formerly a well, into which poor mothers would throw their babies and above that well a chapel was built and dedicated to the first Christian martyrs. After completion the Bethlehem Chapel accommodated up to 3,000 worshipers and from 1402 - 1413, when Master Jan Hus held his sermons here, the place became very popular. Nobility and ordinary people alike would attend the sermons and sometimes even Queen Sophia herself. The place gradually turned into a cradle of the reform movement, which later resulted in the Hussite Wars. After the burning of Jan Hus in 1415 during the Council of Constance, the chapel served as a parish church and a link to the Hussite movement. Thomas Müntzer worked here for the Brotherly Unity, Society of Jesus and the Jesuits. Between the years of 1948-1954 the chapel was restored as a memorial to the Hussite movement. Bethlehem Chapel is one of the most important historical sites of Czech. In the main hall you can still see the original stone floor and the pulpit, where Jan Hus preached. Bethlehem Chapel served as the ceremonial hall for the Charles University in Prague, the Czech Technical University in Prague and the University of Jan Amos Comenius in Prague as well as other important events. The Náprstek Museum is a museum of Asian, African and American art. It is part of the Prague National Museum in Bethlehem Square. The museum introduces you to the native cultures of North and South America, archaeological evidence of pre-historical and ancient cultures, the ethnographical and art objects of natives from the 19th and 20th centuries, and the cultures of Australia and Oceania. Here the material and spiritual life of the original inhabitants of Australia and the isles of Melanesia, Micronesia and Polynesia are shown.